Budapest BI Forum is a professional conference created with the purpose of developing and networking in the fields of BI and analytics. We want all attendees to have an effective and uninterrupted experience. Therefore everyone (speaker, attendee, organizer) are expected to show respect and politeness to other attendees during the conference’s all events. 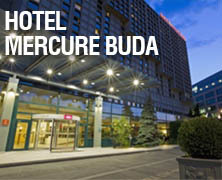 The conference is organized by BI Consulting Kft, a small, independent advisory and consulting firm located in Budapest, Hungary.